With decades of experience in town making, Gamuda Land knows a good township stems from mindful planning. It is about bringing all the right components together thoughtfully to create a place where nature, community and city living can come together in harmony. The philosophy is not just an abstract idea but has been embodied in every township project by Gamuda Land such as Jade Hills, Gamuda Gardens and twentyfive.7 in Selangor and Horizon Hills in Johor. All these have been carefully crafted to a perfect balance between nature and modern development. “It is our DNA… Gamuda Land’s townships are unique because we’re very focused on the environment. We listen to what the land has to tell us. Our projects are all very green and never maximises the density because we respect nature and the environment. We want to build a place that people would proudly call home,” says Gamuda Land’s project director Aw Sei Cheh. 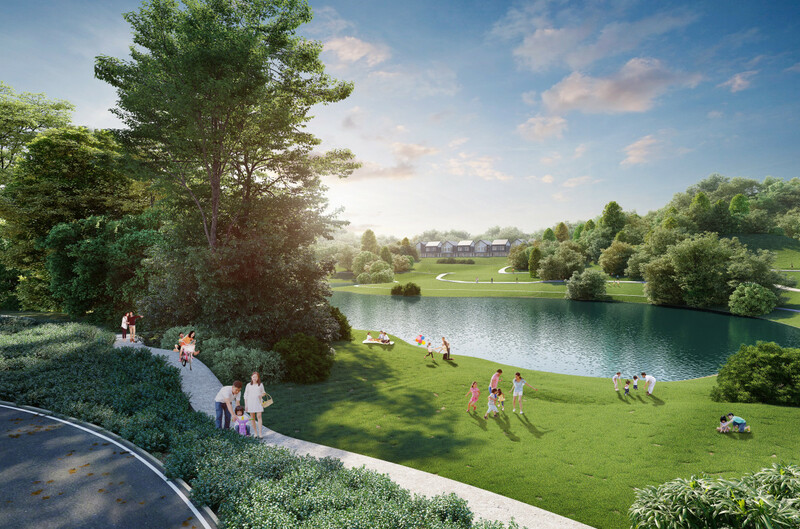 Similarly, in its latest township development Gamuda Cove, the upcoming development’s master plan shows a meticulous integration of commercial, residential and leisure components with nature. The new nucleus of Southern Klang Valley will feature among others landed and high-rise residential precincts, a central business district, leisure and entertainment, knowledge and information corridors and districts, a wellness oasis, an art, culture and tourism village and a 60-acre Central Park, all coming together to offer a vibrant nature-enriched city living to its future residents. 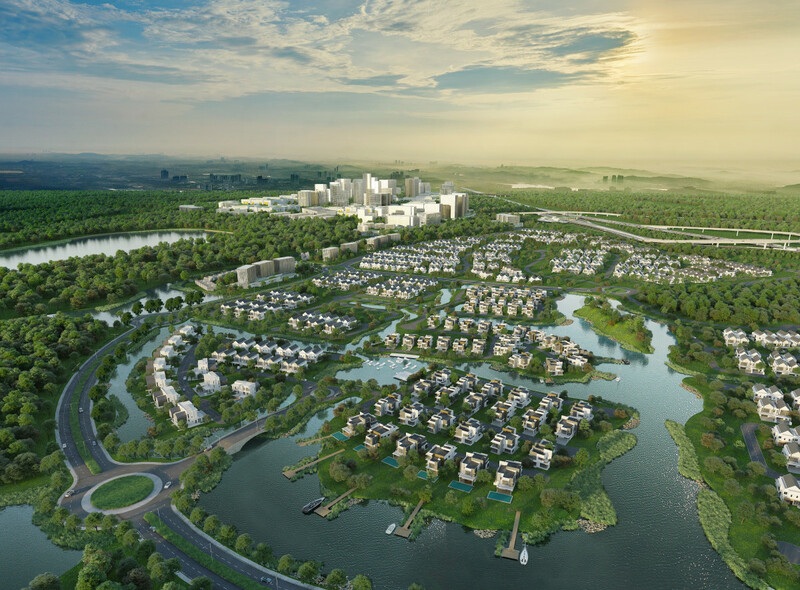 Located south of the Klang Valley along the Elite Highway and opposite Cyberjaya, Gamuda Cove is a comprehensive 1,530-acre township master-planned to create a sustainable thriving community. “A good township is a good community. When we create the Central Park around the lake with play areas and gathering spaces, or when we craft beautiful streetscapes with walkability and bike-ability in mind, we create places for people to interact with each other and with nature,” Aw says. He adds that the Central Park is poised to be the place-making element of the township, where it will be open not only to residents, but also the public. “Gamuda Cove is on a beautiful site not likely to be overwhelmed by any other developments nearby because the surrounding lands are the gazetted Kuala Langat North Forest Reserve and Paya Indah Wetlands. We wish more people could come and see this place and enjoy the environment,” he enthuses. Given the natural endowment of the site, the township’s blueprint gives due consideration to the wetlands and forest reserve. “We preserve nature by separating the water that runs off the land, and we shape the waterways to give the town a unique personality. We then think of the elements needed for a growing the community, and seamlessly connect them together to make the town work. “We also think about tomorrow, to make this place a future-ready city. It is all about having the right components in place,” Aw shares. He highlights that when Gamuda Land builds a town, it not only plans it as just a home place but a shopping, gathering, play, learning, work, park and wellness place. At Gamuda Cove, the developer has upped the ante as it plans to turn it into a tourism destination as the new township will offer recreational and leisure attractions such as a theme park and a discovery park. Meanwhile, Gamuda Cove Discovery Park is set amidst Mother Nature to offer exciting and unique experiences through three recreational zones – Adventure Park, Hangout Village and Sports Park. Adventure Park is a wide open space to host extreme activities, while Hangout Village is the place to discover unique dining experiences, and the Sports Park will feature international-standard sports facilities. “We will link the different components through good connectivity and open spaces, and activate it all to become a world-class tourism destination,” Aw offers. “We’re riding on the fact that the site is so close to KLIA. We want to harvest the tourist market to make Gamuda Cove the first or the last stop for both local and international tourists. We want to build a vibrant township, not just houses,” he adds. He emphasises the importance of spreading the township’s name and attracting visitors and businesses before residents move in. Hence the Central Park, theme park and the 50-acre Gamuda Cove Discovery Park will be developed concurrently with the first three residential phases, says Aw noting that this is only the beginning with more to come in future phases. “Our target is when the first batch of residential units are ready in 2021, the surrounding natural facilities and business activities are already in place to serve the public and residents,” he says. “It is true we have to fork out more resources to get all these facilities and infrastructure in place but we do not mind doing it because we want to make sure the township can stand the test of time and create long-term value for our customers,” Aw notes. The first three residential phases – two phases of terraced houses and one apartment project – will comprise about 2,000 units in total. According to Aw, the selling price for the terraced houses will be from RM680,000, with sizes ranging from 20ft by 70ft to 28ft by 65ft. While the apartment project’s details are still being finalised, the indicative selling price is from RM350,000. The total GDV for the first three phases is an estimated RM1.5 billion. The official launch of the first landed residences is expected to take place in November. Aw adds that the township will have more than 20,000 residential units when completed in 20 years. The entire project has a GDV of RM20 billion. On the developer’s expectation for the upcoming launch, Aw is confident that the project will be well received, as some 10,000 online registrations of interest have been received in the past six months. 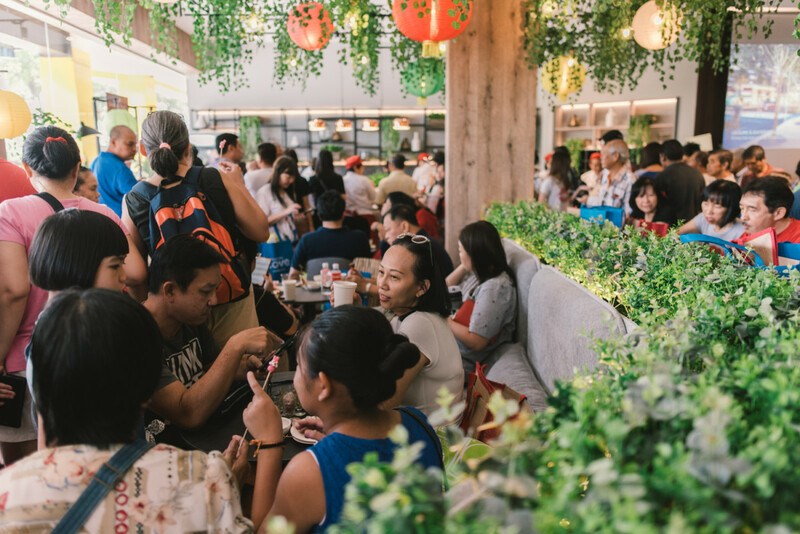 At the recent Grand Opening of Gamuda Cove Experience Gallery on Sept 23, 2018, an overwhelming crowd of more than 3,000 turned up and bookings for the upcoming launch have been oversubscribed. Aw attributes the good response to Gamuda Land’s strong brand name, as well as the project’s strategic location. “It is a project for all. We did not set a certain target market group because we are now creating a project of regional standard. It is for everyone with different purchasing purposes – self-occupation or investment, for residing or to do business. I’m confident with the project because good projects can sell no matter when,” Aw stresses. Gamuda Cove is located along the Elite Highway which has links to Putrajaya-Cyberjaya Expressway, South Klang Valley Expressway, Maju Expressway, North South Expressway, Lebuhraya Shah Alam, Lebuhraya Damansara-Puchong and the proposed West Coast Expressway. It is 20km away from Putrajaya and 15km from Cyberjaya. KLIA and KLIA 2 are only 20km from the township. In future, there will also be shuttle buses connecting Gamuda Cove to surrounding amenities including KLIA, KLIA2 and Putrajaya Sentral Station. “To further enhance the connectivity of the township, we have proposed two direct accesses to Cyberjaya and Putrajaya. On top of that, we are building a direct interchange to Gamuda Cove from Elite Highway, which will be ready by mid-2019, way before we hand over our first batch of residential units in 2021,” he explains. What’s more is the mindful traffic and transportation system being planned within Gamuda Cove According to Aw, Gamuda Cove will feature dedicated cycling paths surrounding the township, a smart traffic system and its very own trams. The tram system, the details of which are still being finalised, will first be implemented in Gamuda Cove’s central business district on a 4km-long rail line on the main street. It will eventually connect the entire township.